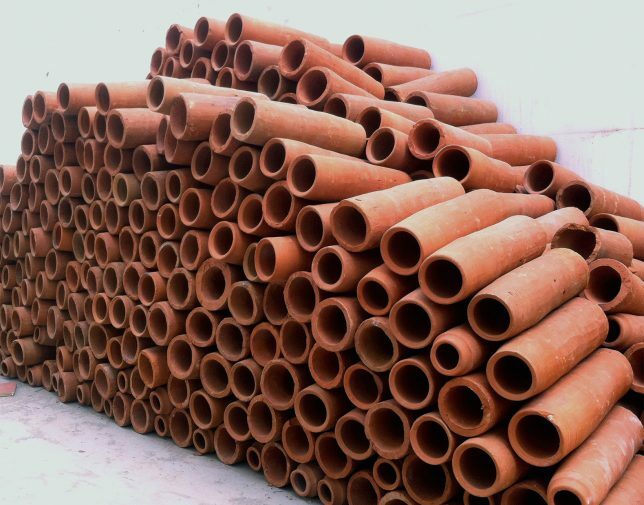 At a glance, the honeycomb structure of terracotta tubes looks more like large-scale work of handmade sculpture than a highly designed air conditioner. 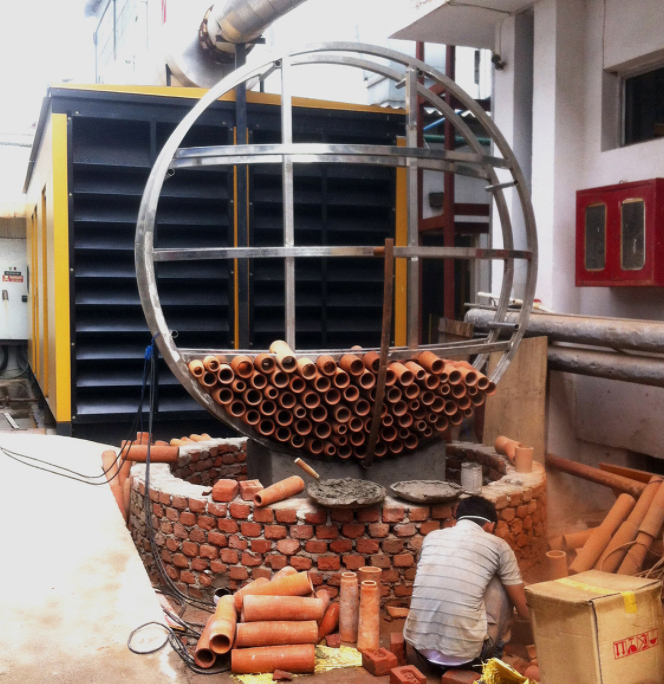 Developed for an electronics factory in New Delhi, this evaporative cooling device requires no power to lower interior temperatures by as much as 26 degrees Fahrenheit. 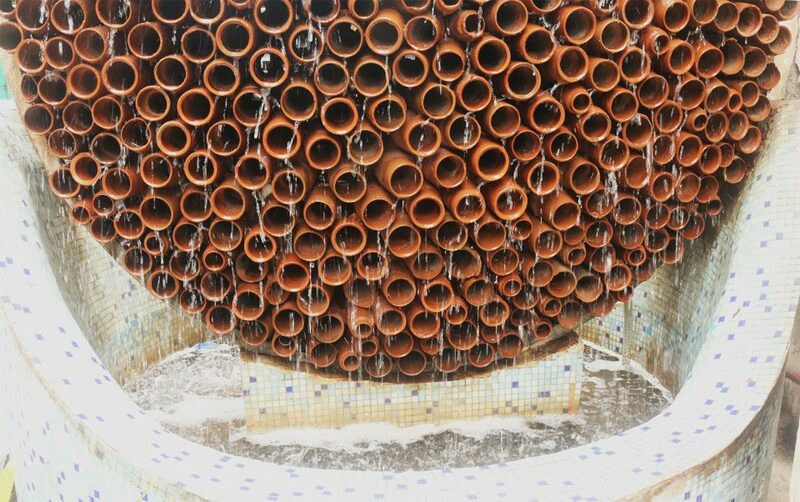 Designed by Ant Studio for DEKI Electronics in New Delhi, the low-tech strategy taps into a long history of passive cooling systems that employ water rather than power. Water passing through the clay pipes and falling into the basin below looks and sounds soothing, but it also lower air temperatures as it evaporates. The appearance of the system is also deceptively simple. It looks like a roughly hand-crafted sculpture rather than something developed through advanced computational analysis and modern calibration techniques. The effect is astonishing: temperatures of 122 degrees can be brought down as low 96 degrees (perhaps not room temperature comfortable for everyone, but still a remarkable drop). The tubes are porous, absorbing water that slowly evaporates. 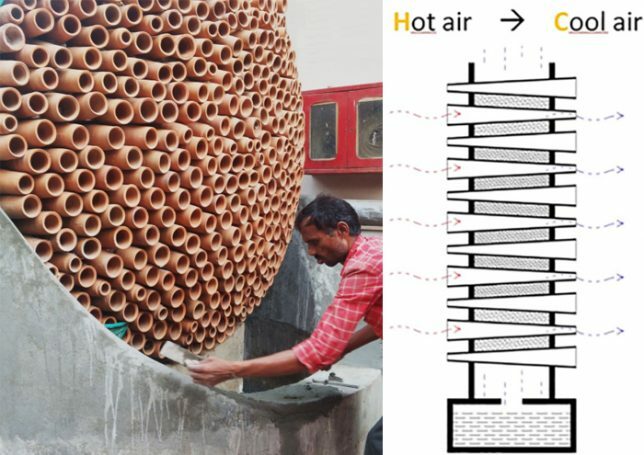 Monish Siripurapu, founder of Ant Studio, says this project has “opened up a lot more possibilities … we can integrate this technique with forms that could redefine the way we look at cooling systems, a necessary yet ignored component of a building’s functionality. Every installation could be treated as an art piece,” he believes.